Coffee, tea, and tiny cakes are a few of my favorite things. That’s why when Edel sent me to the High Tea Party as a representative for Kitchen Goddess, I was ecstatic. 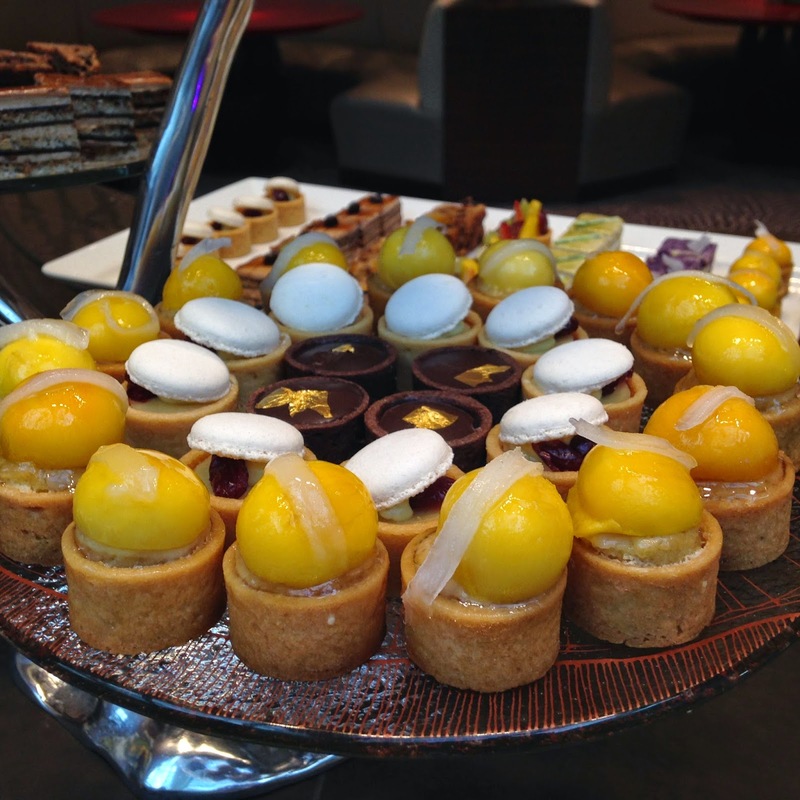 It was a chance to try a variety of tea and sumptuous cakes. This selection of pastry includes bibingka, spring roll, and leche flan. 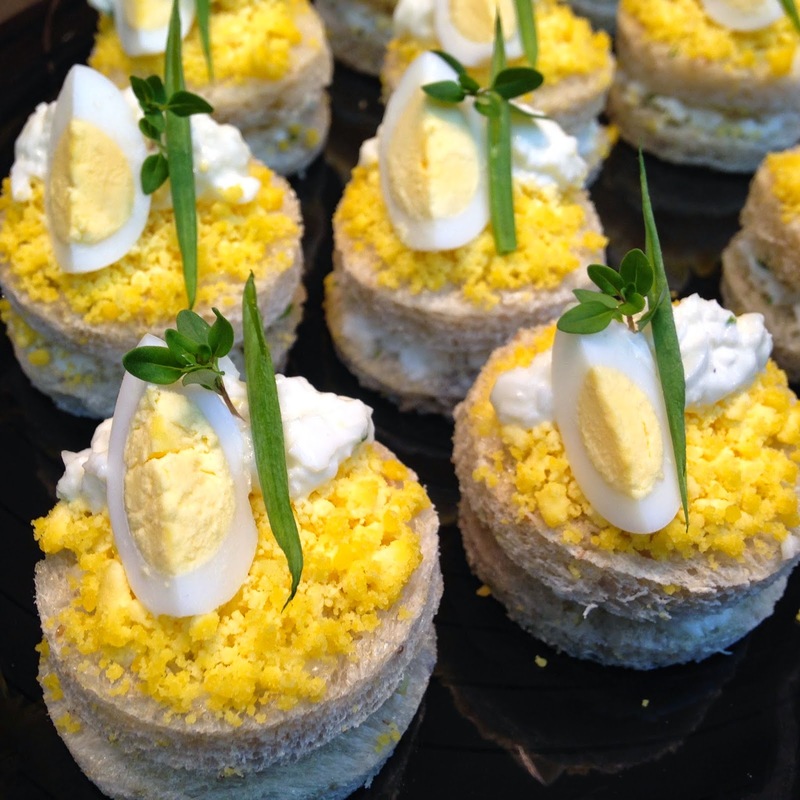 The High Tea Party was held at the Oasis Garden Cafe in Solaire Resort & Casino, Paranaque City. The Oasis Garden Cafe is true to its name. It serves as the centerpiece of Solaire’s Sky Tower, a sanctuary after a tiring day or week. Its interior design mimics a bird’s nest, making the entire place unique and refreshing. The place even becomes more refreshing with its transparent glass roof and cascading water features. To top off the relaxing vibe, a piano is placed at the heart of the cafe. During our afternoon tea, we enjoyed the food and the live piano music. 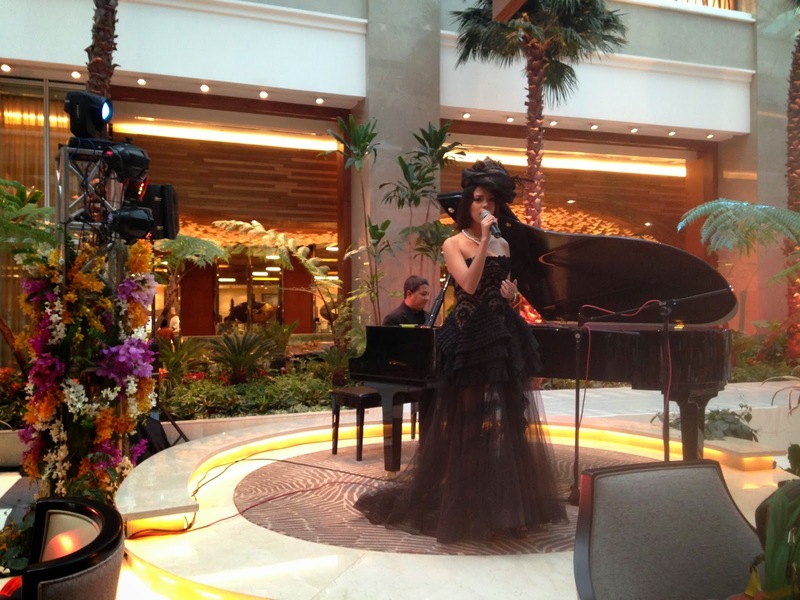 Consistent with the High Tea party theme, the singer dons a classic English hat. 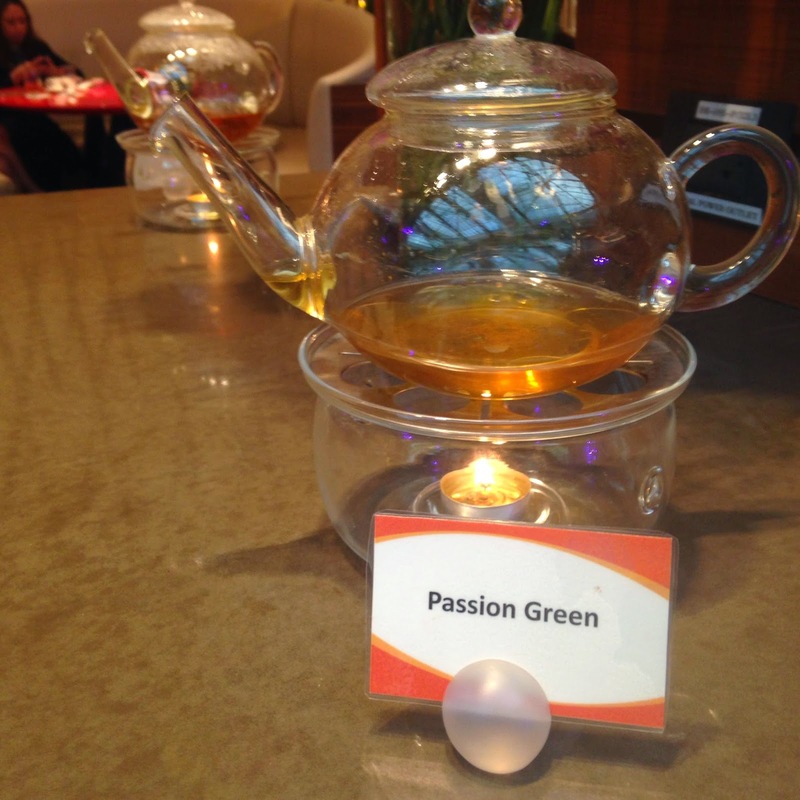 The Oasis Garden Cafe offers a wide and very classy selection of coffee and tea. 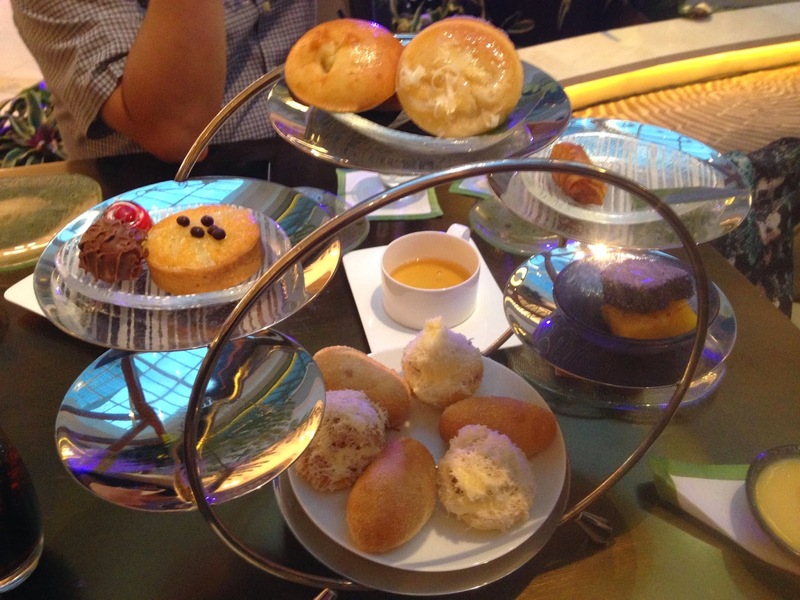 During the High Tea Party, we got the chance to try four different kinds of tea. My favorite was the Passion Green tea. It was fruity and light to the taste. We also tried a wide array of cakes and finger sandwiches--from the popular chocolate cakes to the more unique type of sandwich topped with smoked salmon. Every piece of pastry was appealing to the eyes and the taste buds. Oasis Garden Cafe's unique and beautiful presentation of the classic chicken sandwich. After the afternoon tea, Oasis Garden Cafe turns into a lounge where one can hang out and have a cocktail served with the “usual Solaire panache”. The assortment of cakes served at Oasis Garden Cafe. Cakes with fresh peach, kiwi, and strawberry are heaven sent. The Oasis Garden Cafe is open every day until midnight. If you are looking to unwind and get a break from your busy city life, Oasis Garden Cafe is a perfect place to enjoy a cup of tea and your favorite pastry without traveling far away from the city.